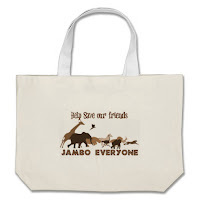 Jambo Everyone: Shop the Jambo Everyone Store and Help Our Conservation Effort! 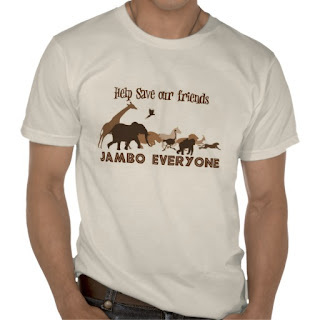 Shop the Jambo Everyone Store and Help Our Conservation Effort! 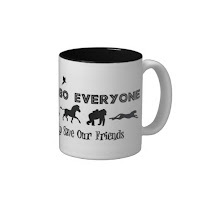 We here at Jambo Everyone began this website not only to celebrate our favorite theme park, but also to try and contribute in any small way we can to helping efforts to preserve wildlife for future generation and save endangered species from extinction. With that in mind we began our Conservation Effort, and today we announce our latest edition to that effort; the Jambo Everyone Store. With every item sold in our store, we will donate 50% of the profits to our Conservation Partners, all of whom are listed on our website. (The rest will go towards keeping JamboEveryone.com alive and well! Any of our fellow Disney fansite owners will attest to the expenses incurred.) So I thought as part of this announcement we would show you a couple of examples of what we have on offer. There are shirts available for men, women and even kids shirts, as well as a variety of other fun items. We have a few different logos and graphics which are offered on a variety of items. 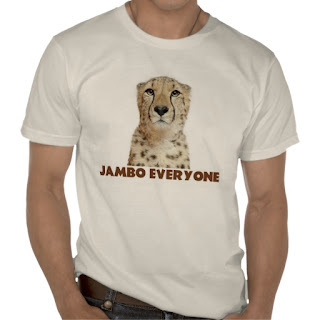 The first one you see, the one above the pervious paragraph, is one of our two main Jambo Everyone logos, that one is offered on a ladies shirt. It features the five animals represented by our Conservation Partners, cheetahs, macaws, gorillas, Grevy’s zebra, and rhinos. 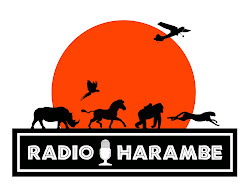 The second main logo, featuring those five animals plus a few more in a something of a “dynamic march”, with the cheetah at the lead is pictured just above this paragraph. 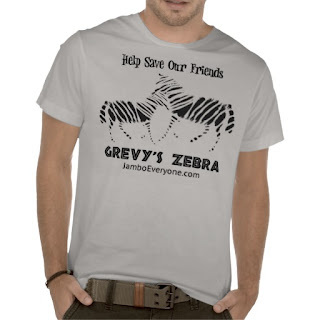 Besides those two main logos, we also have some more animal specific images where we feature one of the five species we are working with, including the cheetah shirt above and the Grevy’s zebra one below. In the coming days, we will also have more and more of these items, so keep checking back. 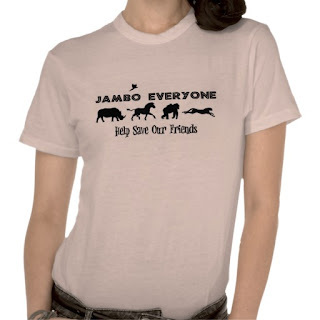 So please, visit the Jambo Everyone Store at Zazzle and help us raise funds for our conservation partners. And I happen to think you will look pretty darn good while doing it!